Well since it’s freezing cold in Indiana this weekend, I thought a fun build was in order. I had a Big Bertha kit in the build pile and decided to put her together. Looking at the little 18mm motor mount made me think man this could really get up and go with my stash of F32-4t Blue Thunder engines! So I fabbed a custom 24mm engine mount and retainer and dropped it in. While thinking of stabilizing this girl while screaming though the air ? I oversized the fins and made them out of 3/32” balsa instead of the 1/8”. I finished it out in a black metallic pearl paint and once my custom decals come in, I will apply them and clear coat. Well enough rambling out of me, so here’s a pic, and one with her little sister for fun ? Good afternoon ladies and gents, as the title states I am looking into picking out my first high power rocket! I will hopefully be trying for my L1 cert as soon as the Indiana weather gives us a break!! 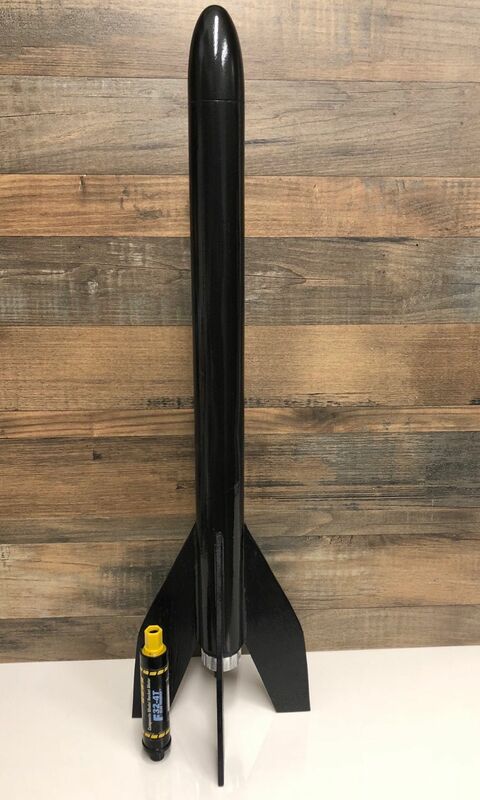 I have done some research and found what I believe the ideal rocket is for my cert flight, but I want some opinions from people that have been there before. So if you had to do it all over again, what would you choose and why please. Thanks for any help for the new guy on the block ? I’ll take a minute and do the introduction, I’m Steve from a small town of Converse in Indiana. I’ve been into rocketry for some years now with the low and mid power stuff, but as of late have been getting more interested in high power. I’ve been fortunate enough to finally find a rocket club reasonably close (1 1/2hrs) from me and am hoping to get my L1 very soon, as I will be building my rocket here soon. Hope I can learn a bit from you veterans and start flying high! Thanks for having me. Here's a pic of someone's L3 flight, I think. Some mach diamonds, shining bright like Rihanna. The only pics I took other than of my own, just testing out some settings. And here are a few pics of my Estes MDRM. Launched on an Aerotech K458W. I missed the liftoff because the LCO accidently drag raced it with another rocket. It reached about 9100 ft and landed out by Goldsboro road. I bought a pack of Estes F motors and decided it was time to open the Centurion-F. I purchased this kit when it was released in spring or summer 2013. It is intended to be flown on the then new Estes F15 29mm black powder motors. 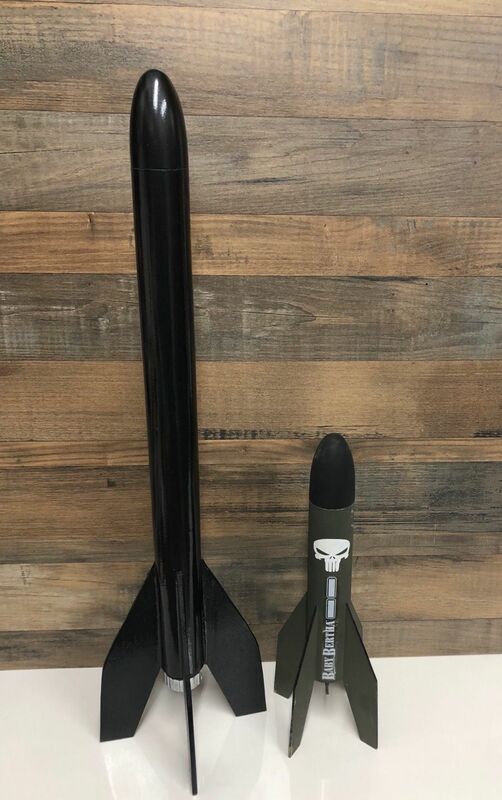 The Centurion-F was part of the last batch of new kits released by Semroc, before Semroc founder Carl McLawhorn passed away a short time later. Black Friday through Cyber Monday Sale on Fin Cans! We've slashed prices on fin cans for four days only! Our lowest prices ever! We expect a very high volume of orders and cannot promise that you will get them by Christmas, but we'll do our very best. Happy Holidays from Binder Design!